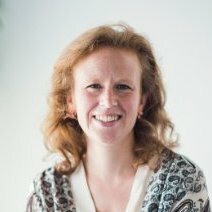 Marie Latour coordinates the European Technology Platforms for Smartgrids secretariat since 2014 and run the Brussels office of the consultancy firm Zabala Innovation Consulting specialised in detecting and applying for public funding opportunities for its clients. Among the most important skills and experience to highlight, we can list the followings: qnalysing clients' innovation strategy and detecting best European Funding opportunities, expertise on European funding (H2020, LIFE, COSME, CEF..), experienced European Project Manager with very good negotiation skills, team management and commercial reponsibilities. She has also worked for several years in European Photovoltaic Industry Association as head of projects. Marie Latour hold a Master degree in European Affairs from the Institut Catholique de Paris and also a superior degree in European Business from the Madrid Chamber of Commerce.